Betrally online bookmaker is a rather new company. It was created back in 2013. The website is owned by ZapZap Marketing Limited – a business, based in Cyprus. They are using a holding company, Comofrtlink NV, located in Curacao. They handle all the deposits. Betrally owns a license in Curacao. If you are an Australian, you will like the fact that Betrally covers Australian events through live betting and offer AUD accounts. The website is quite popular – it’s one of the top 100000 most visited sites in the world. Most of the visitors are from Bulgaria, Poland and Germany. The site has many great markets and gives relatively competitive odds. They are new in the industry but try to stay competitive by offering bonuses and regular player loyalty promotions. It’s still doesn’t rank amongst the best in the industry but for less than 4 years it has made a name for itself. Their online presence will surely spread. Many have already chosen this platform, so why not give it a try yourself? 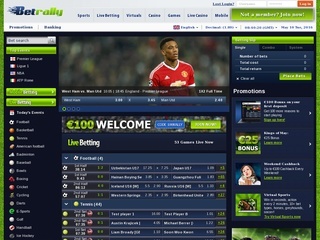 Since Betrally is based on the SBtech bookmaker platform, used by 10Bet, it uses the same web site layout. There are three main columns on the home page. The left column has a sports navigation menu, the middle one shows the various odds and the right column has the betting slip. Selecting various leagues on the left changes the content in the middle. The real thing is that if you select several leagues, they will all show in the middle column of the bookmaker website. Betrally’s sportsbook contains the astounding number of twenty-eight types of sports. Football, Futsal, Tennis, Basketball, Athletics, American Football, Baseball, Bandy, Boxing, Cricket, Cycling, Darts, E-sports, Golf, Hockey, Handball, MMA, Ice Hockey, Motor Racing, Rugby League, Poker, Rugby Union, Snooker and pool, Table tennis, Specials, Virtual Sports, Volleyball and Winter sports. The Specials section handles the general elections and other world events. The website offers live betting, but not live streaming of the events. Betrally offers an extensive choice of casino games, too. They have Video Slots, Jackpots, 3d Slots, Roulette, Video Poker, Blackjack, Table Games, High Stakes games, Card games and various Multiplayer games. The unusual thing here is that the bookie also has a section for a live casino. You can bet and play with a live dealer – blackjack, roulette, baccarat and multiplayer roulette. 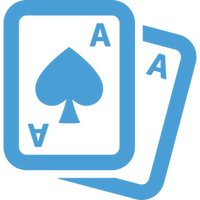 Overall, the betting options are many and, except poker, you are certain to find your game there. 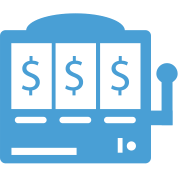 Betrally supports live betting for most of the sports. You have the choices of single, combo and system slips. Of course, the bigger the chain of right guesses, the greater the reward. You can also use the betting platform on various mobile devices. The odds on Betrally are great. Players can bet their money on some options. 1X2, last to score, Asian handicap, OU, 1st half 3W handicap, Goal crazy, Comers: OU, Total Goals:OU, Total comers 2 Way, Comers 1st Half, Total Goals 1st Half, Draw no bet, Odd/Even, Number of goals, Both teams to score, 1st to score, 2nd half 1X2, 3W handicap, Double chance, Exact Score, Halftime/Fulltime, Total team goals, Teams to score in 1st/2nd half and more. Of course, the highest payouts are held by the number of goals bets. 4+ goals in the first half yield a 91 to 1 payout! The bookmaker margin of Betrally is, on average, 5% to 6%. For many of the football options, Betrally beats other websites with as much as a 1% margin. The minimum bet on this particular online bookmaker is 1 EUR, with no maximum bet whatsoever. The daily winnings are limited to 50000 EUR, but this shouldn’t stop you from trying Betrally out! Betrally offers a few levels of security. The first is the 128-bit SSL encryption. The central part of the website is not encrypted, but all of the financial transfers are safe. The second level is the Secure File Transfer Protocol. All of the card transactions are verified through the FTP. The third level is the firewall and the “auto time-out” feature. If a player is inactive for a particular period, their account is automatically logged out to ensure their safety and prevent unauthorized use. The bookie offers their website in five languages – English, Deutsch, Italian, Russian and Svenska. Betrally covers customer support 24/7/365. Sadly, they don’t have a public telephone number, but they do have a live chat feature you can use at will. They also accept e-mail messages. Betrally offers several options for depositing and withdrawing funds from your account. You can deposit money through most famous banking methods. There is a minimum deposit limit set in motion – 25 EUR for bank transfers and 10 EUR for the other available methods. Withdrawing money is completed through the method you’ve chosen to deposit the money. As you have probably guessed, there is a minimum withdrawal limit too. It is 10 EUR for the e-wallets, 20 EUR for credit cards and 50 EUR for the bank transfer. Betrally accepts a variety of currencies. These options are a huge plus for international betters. 100% matching bonus on their first deposit 100 EUR, get 100 EUR bonus. They just have to create a new account, make the deposit and enter the code 100RALLY in the specified box. 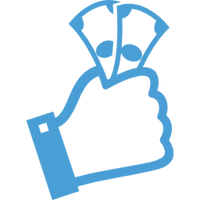 This option suggests that other codes may be available at times, giving bonus money to Betrally’s clients. The bookmaker also has offers for the casino and live casino. They offer a 150% welcome bonus to new users, up to 300 EUR and 5 reload bonuses per month, up to 150 EUR each. Their monthly offers usually provide a set amount of money once during the month. Weekly reloads offer matches up to 100 EUR each, three times per week.